Joymax is welcoming everyone to the new year with a new addition to their worldwide MMO sensation, Digimon Masters. Alongside a huge cash shop sale, now is the perfect time to join, or return to, the biggest Digimon MMO in the world. Introducing the holy beast, Baihumon! As one of the four Holy Beasts that protect the Digital World, this Ultimate digivolution guards the Western direction, while its siblings guard North, East, and South. 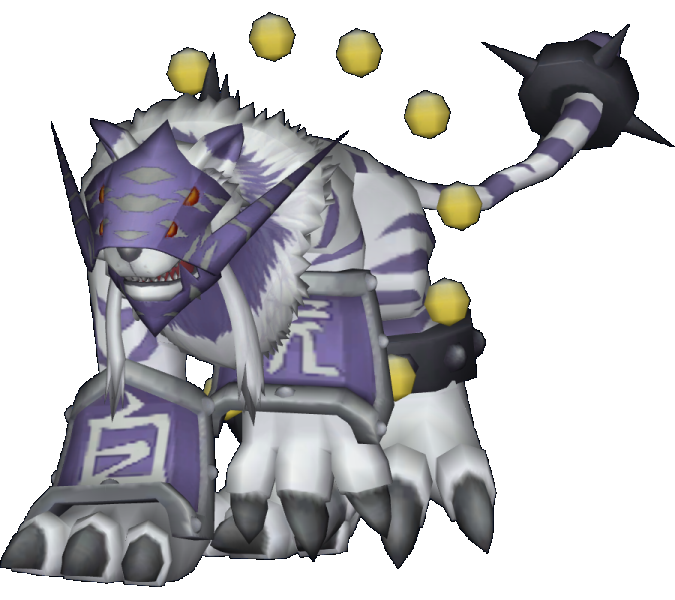 Despite being the youngest of the four Beasts, it is by far the most powerful; its great power and immortality is attributed to the power of the DigiCore. Generally taking a stance of neutrality, it is slow to make friends. Its special move, the “Kongo Wave,” emits from its mouth and is strong enough to cause paralysis and forces metal to rust and often leads to death! It’s the last few days of the Christmas Reinforced Mercenary DigiEgg! Tamers have until January 14th to grab these coveted eggs, which have a chance to hatch into Seedmon, DemiDevimon, Pawnchessmon White, Impmon, Ryuudamon, Dracomon Blue and Green, Veemon, Patamon, or Kudamon, all guaranteed to be level 4 or 5! Players can continue to turn in their New Year’s coins for this prize, or purchase them from the Digimon Masters cash shop. Fans can find everything and anything about Digimon Masters Online on its official Facebook page, which has more than 372,000 likes from all over the world. Skip to the good stuff - create your guild and battle for control of the Felspire! Day one of NYCC has arrived and my first day was mostly open with plenty of leisure to do whatever I wanted. Today, InnoGames updated 3D action game Kartuga with improvements coming directly from player feedback in its closed beta.